The DRX9000C™ offers patients the latest technology in the area of non-surgical spinal decompression. With this innovative technology, people experiencing lower back and/or neck pain can seek comfortable, non-invasive, non-surgical treatment for their debilitating back problems. The DRX9000C™ is a machine created by pioneering engineers at Axiom Worldwide, the leader in creation of non-surgical medial equipment. The device was created in order to assist healthcare providers in their effort to alleviate lower back and neck pain. This FDA approved technology was released in 2001 and has since shown a remarkable treatment success rate for symptoms such as bulging, herniated and protruding discs, neck pain, spinal stenosis, sciatica and more. The DRX9000C™ spinal decompression machine uses state of the art technology to apply a spinal distraction force to relieve nerve compression often associated with debilitating back and neck pain. With this treatment, doctors are able to repair injured discs without the risks associated with surgical procedures. There are no side effects to this innovative, non-invasive, non-surgical treatment. The machine works by relieving pressure on spinal discs by pumping the disc to promote inbibition (movement into the disc spaces) of blood, fluid and other healing nutrients. To accomplish this, the DRX9000C™ machine employs a computer-controlled system of harnesses and pulleys. These harnesses and pulleys place a patient’s back in a decompressed state. The pulley angles are monitored and adjusted to an appropriate angle of pull to target the specific area of the spine that is causing the patient’s discomfort. 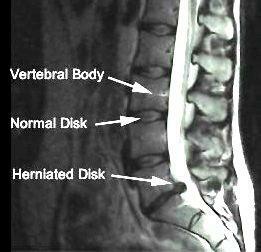 During the decompressed state, the machine gently separates the vertebrae above and below a particular disc. This disc separation causes negative pressure to be exerted on the disc creating a vacuum effect. 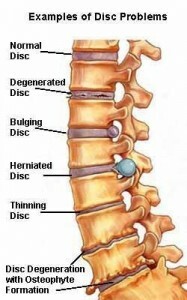 The negative pressure then draws the disc bulge or herniation back within the normal disc space. A running motor inside of the machine functions as a safety device responding to the body’s natural tendency to guard against unnatural or damaging movements by sensing tension created by the intrinsic muscles of the body. This allows patients to immediately stop treatment during a session if necessary. DRX9000C™ treatments typically consist of several 30 minute sessions over the course of six weeks. Who Can Have This Therapy? Unfortunately, not everyone with back and/or neck pain is a candidate for spinal decompression. In general, patients who are experiencing herniated discs, bulging discs, sciatica, degenerative disc disease, or facet syndrome will benefit most from DRX9000C™ treatment. If you are experiencing back and/or neck pain, schedule a consultation at which experienced doctors can answer all your questions and review your x-rays to determine if you are a candidate for this lower back and neck pain therapy. Contact Torrey Pines Chiropractic today to schedule a consultation to see if you are a candidate for DRX9000C™ spinal compression treatment.